Allow me to wax poetic about tailor’s tacks for a moment? When I first started sewing, I figured tailor’s tacks were archaic and complicated and I never bothered to use them because they were hard and I could always use pins or chalk. Well, it turns out that pins fall out and chalk rubs off and tailor’s tack are actually really, really easy to use. I wish I could jump back in time and tell myself this so that I could have fallen in love with tailor’s tacks sooner. Instead, I’ll wax poetic here on my blog and hope that I can jump-start someone else’s love for tailor’s tacks before they might have otherwise fallen in love on their own. So how do you make tailor’s tacks? Easy! Use a contrasting thread doubled through your needle. Bring your needle through both layers of fabric, coming back up as close as possible. 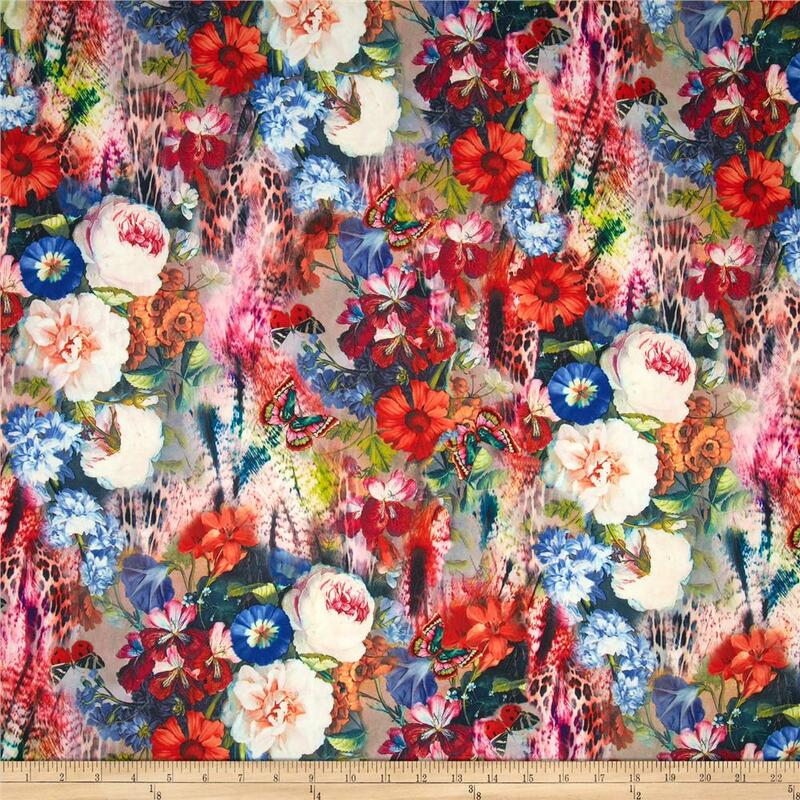 You can do this through your pattern as well as your fabric. (I’ve left the pattern off in these instructions so it’s easier to see what I’m doing). Coming from the same direction, bring your needle through the same points to create a loop. As you pull the thread taught, make sure that you keep a loop of thread that’s about a finger in size. Repeat the same stitch another time or two – this increases the number of threads that will be in your tailor’s tacks, making them easy to see and less likely to fall out. …and snip the tailor’s tacks. You’re done! 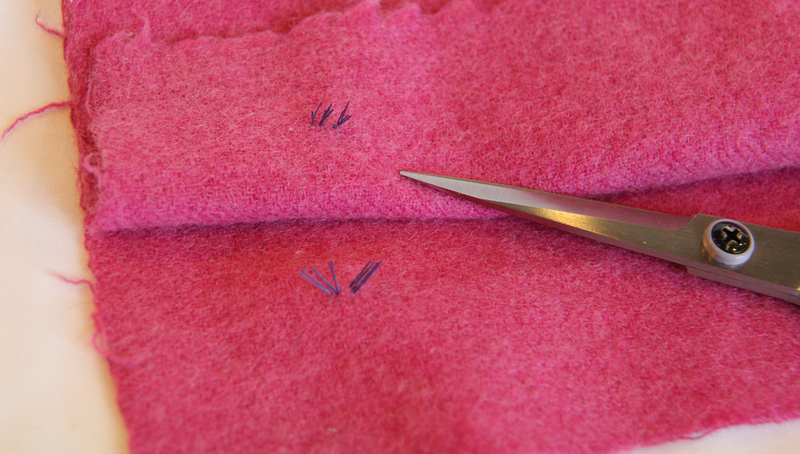 If you were stitching through your pattern tissue, you can snip through the loop on the top of the fabric as well. The tailor’s tacks can be finished with a loop on one side or as little spikes of thread that stick out on either side. If you have multiple tailor’s tacks to stitch, you don’t need to cut your thread in between them. Go ahead and snip the long connecting thread after you’ve made all the tacks as you are snipping the tacks apart. Gently pull the layers apart and snip them as you would for a single tack. I often find it easiest to pull apart and snip one or two tacks at a time, even if I have a long line of tacks, because you don’t want to accidentally pull the tacks all the way out. When do you use tailor’s tacks? All the time! Okay, seriously, you can use tailor’s tacks to transfer any kind of marking from your pattern to your fabric. It’s great for marking single points such as those denoted by small circles on patterns, often used for marking where a pattern piece meets a seam. You can use tailor’s tacks to mark darts. You can do so at set points along the dart (like those marked in the pattern above) or, for even more precision, mark the entire length of the dart (like the first picture in the post). You can also use a line of tailor’s tacks to mark lines for fitting such as the center front line. Tailor’s tacks are excellent for marking button placement as single points or buttonhole placement by marking each end of the buttonhole. You can also use buttonholes to mark pocket placement. Mark each corner so that you can perfectly align your patch pocket, like the patch pocket of the Electron Layette Cardigan shown here. You can use the tailor’s tacks to mark the edge of anything that needs placement, like the handles of the Presidio Purse. Do you use tailor’s tacks? Have you been smitten with them from the beginning or did you have to have a revelation like I did? That’s a great idea for marking the right side of the fabric and/or the top of your pieces! Yes, I use and like tailor’s tacks. I usually do as you do. Sometimes I use a different method taught by my sewing tutor (I am a very late entry to sewing) – she uses a long single strand of thread once through fabric, knots it, leaving a long tail between knot and fabric. Pulls fabric open, cuts thread and knots again on both sides, leaving long tails again. This takes longer but is good for greater accuracy and for finer fabrics and they just don’t come out. You do need to mark right and wrong side of fabric, too. I hope I’ve explained that well. It works well. Interesting to use a technique with knots. That does make sense to do so for fabrics in which the tacks can still fall out like very fine fabrics. Thanks for sharing! THANK YOU. Am just about to start on a project with a lot of button holes and pocket placements. Despite sewing for 4 odd years tailor’s tacks have never entered my mind. Also, all the sewalongs I follow tend to use chalk markings which works fine, but tend to rub off especially if you work on a project for a while. So, thank you for introducing this in my blog feed! I don’t use tailor’s tacks, though I’ve noticed some times when I actually knew that it was called for, but didn’t really know how, and didn’t want to go look it up. So, thank you! I use them a lot, particularly when working with thicker fabrics that have to be cut in single layers, or when I’m not sure whether chalk or dressmaker’s carbon markings will a) last long enough to be useful or b) brush out when the project is completed. I don’t like the process of creating them AT ALL, but their usefulness far outweighs the nuisance of creating them. 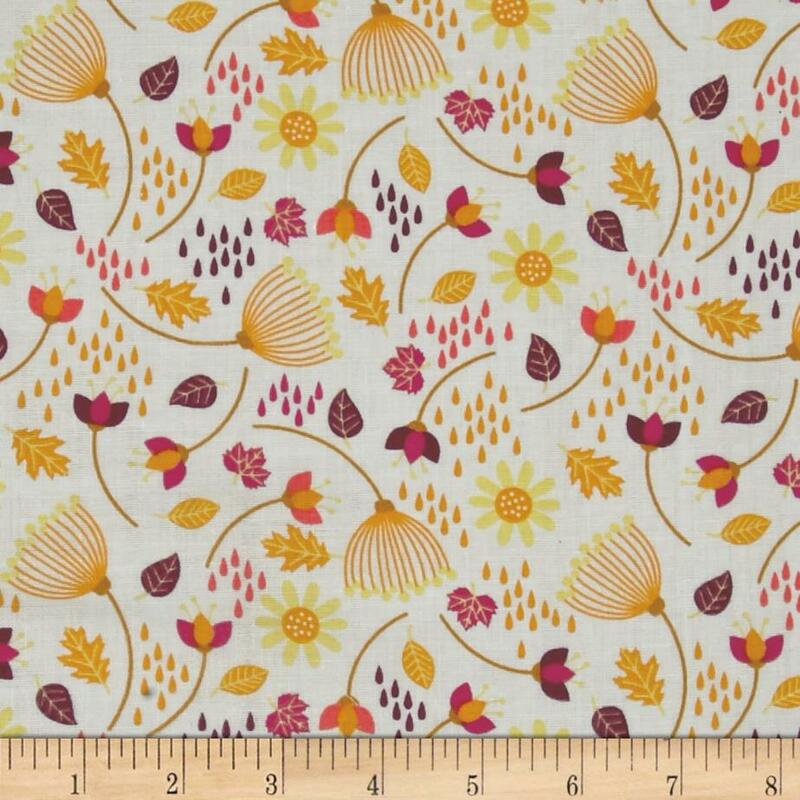 I learned to sew with tailor’s tacks and use them whenever I can still (I’ve never had much success with tracing paper) but what do you do with PDFs? I find it hard to make tailor’s tacks through printer paper with any accuracy. Any suggestions? I snip a hole in the printer paper where I want to make the tack so I’m not actually stitching through the paper. I learned how to use tailor tacks in home ecomomics in the 1970’s.. but they always come out before I finish my project, or I accedently sew them into the garment. I always use tailors tacks ,chalk rubs off and i can’t be doing with carbon paper. I learnt to do them in school in the mid sixties only thing you need to be careful of is using coloured thread as it can leave a mark on light fabric as I have found to my cost!